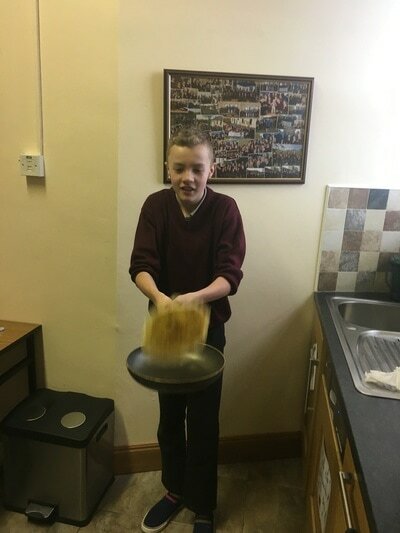 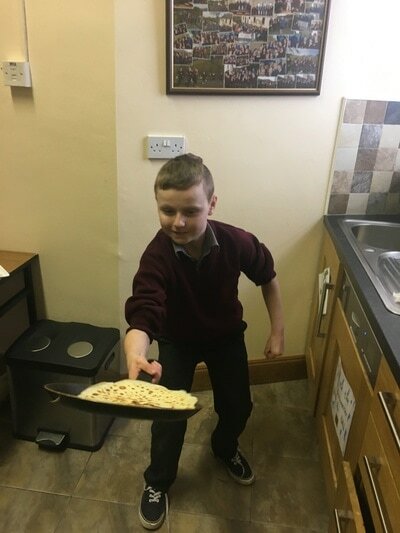 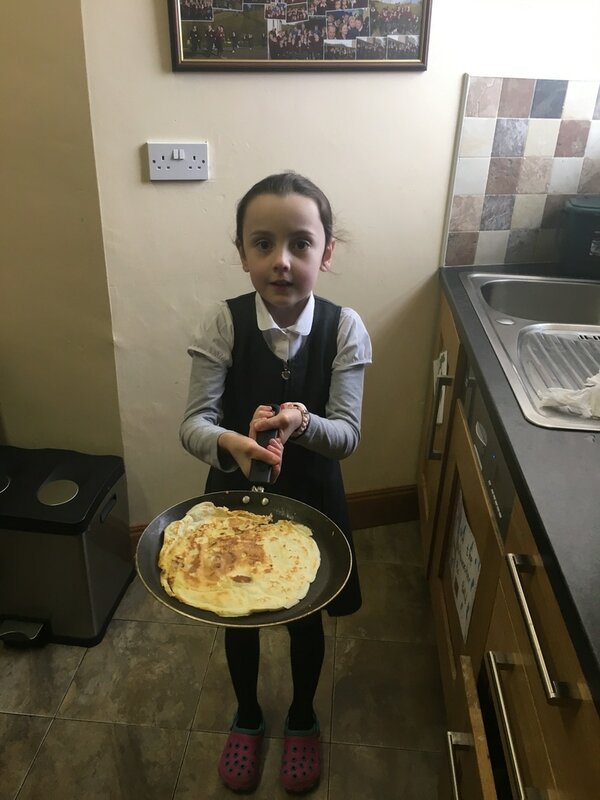 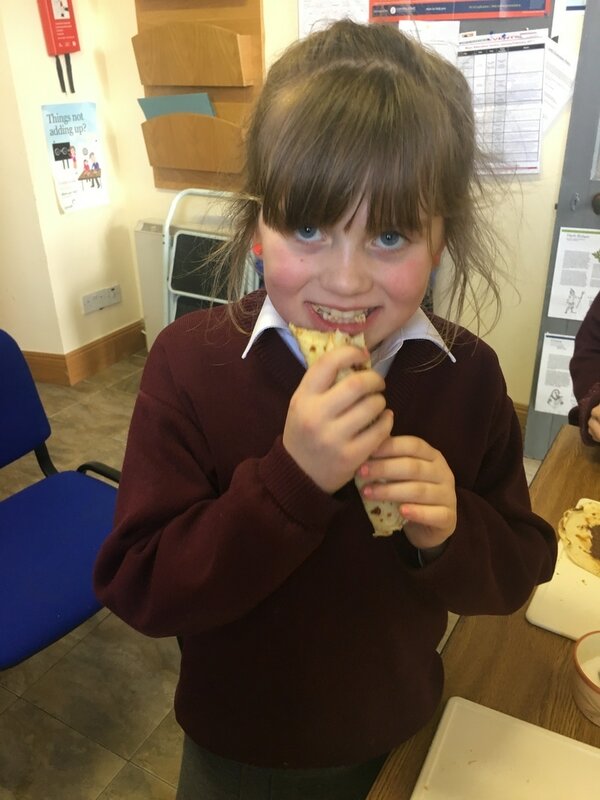 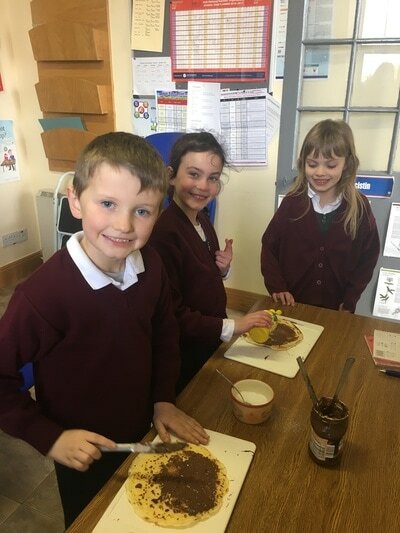 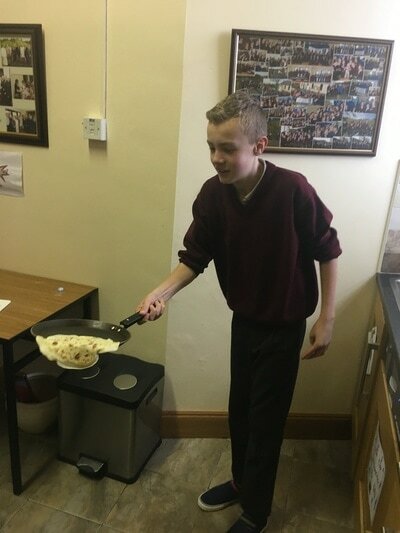 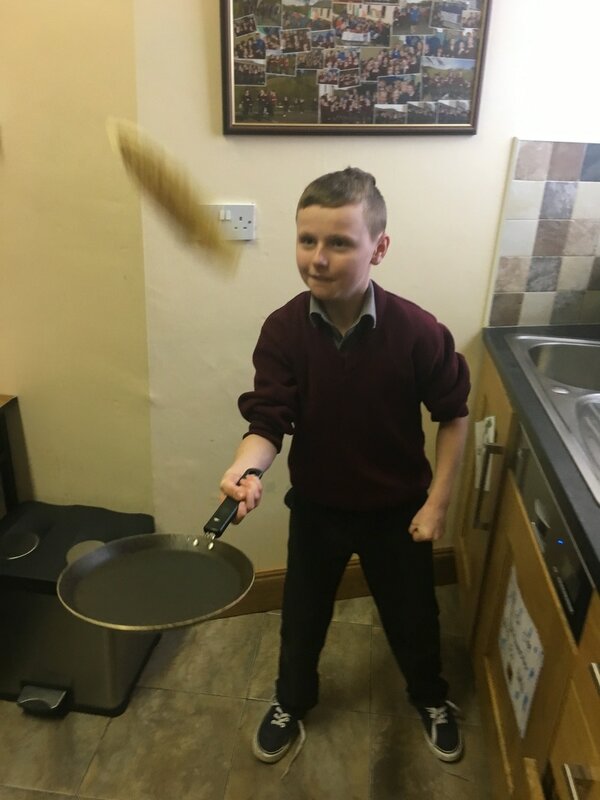 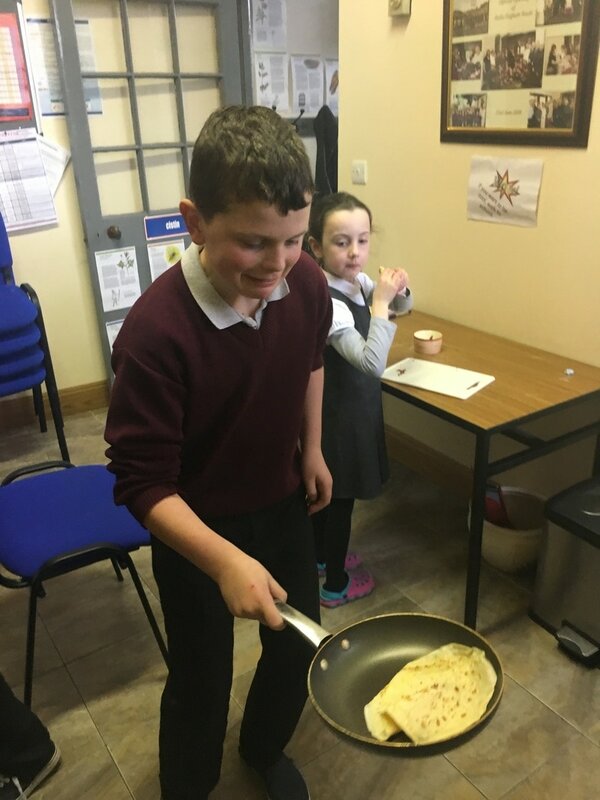 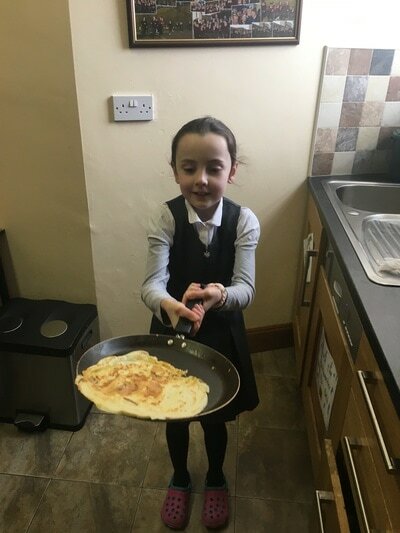 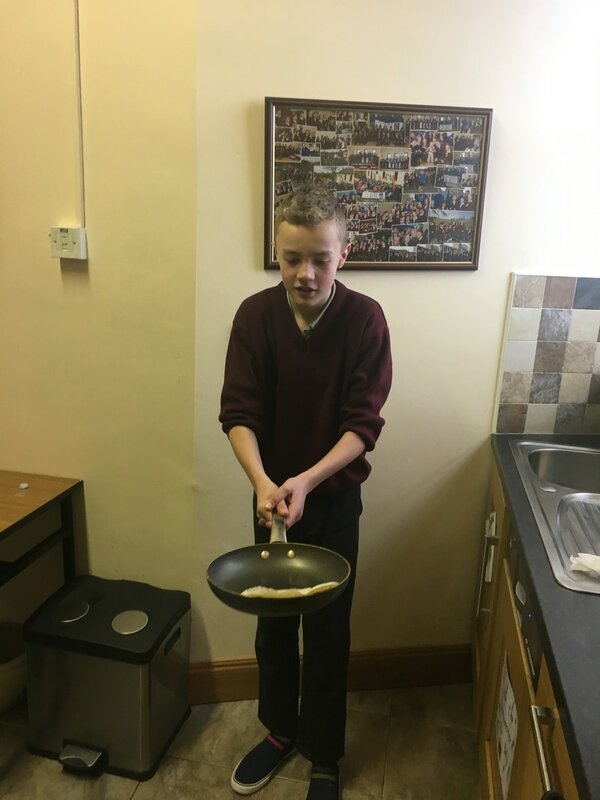 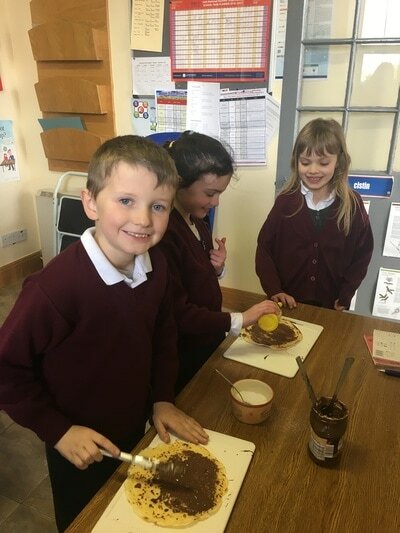 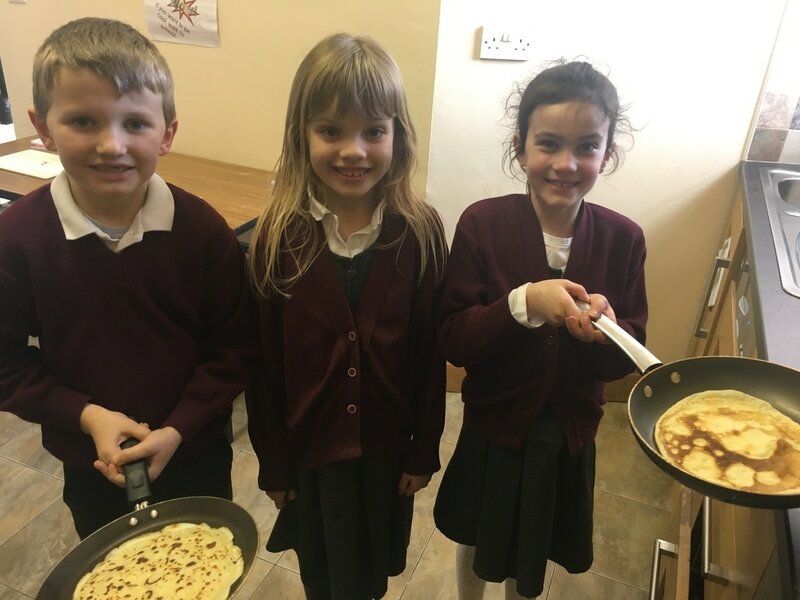 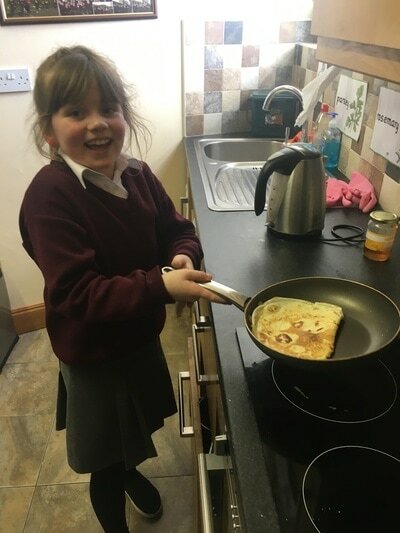 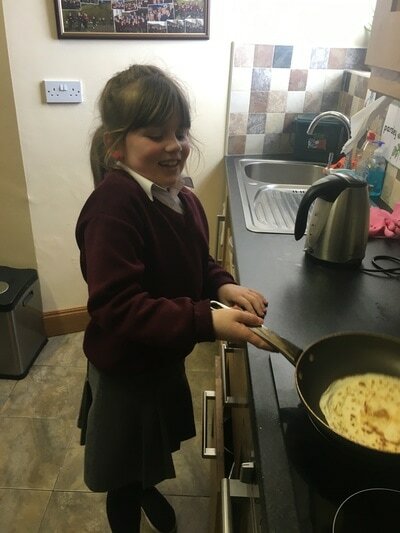 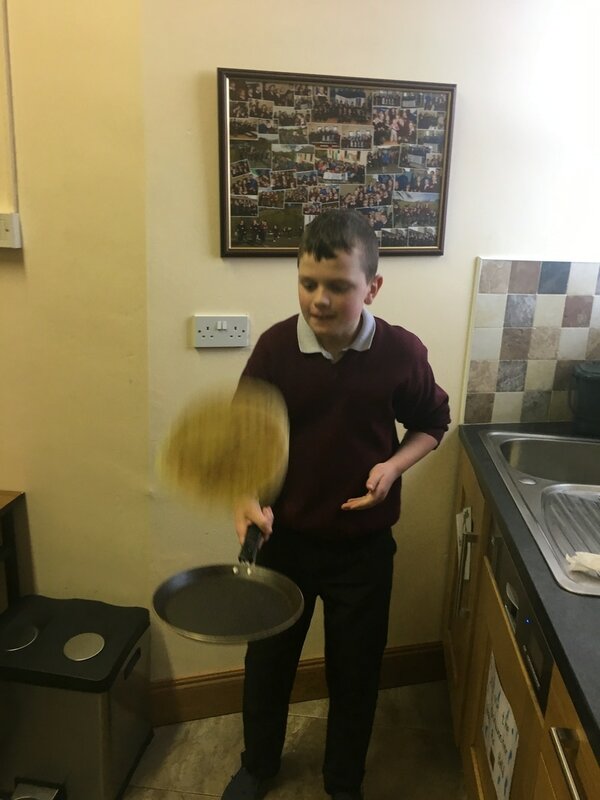 Making pancakes to celebrate Shrove Tuesday! 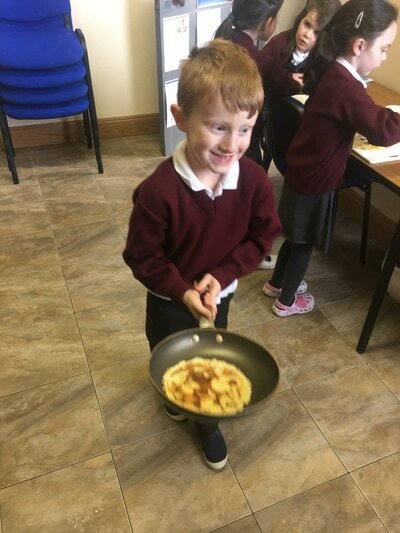 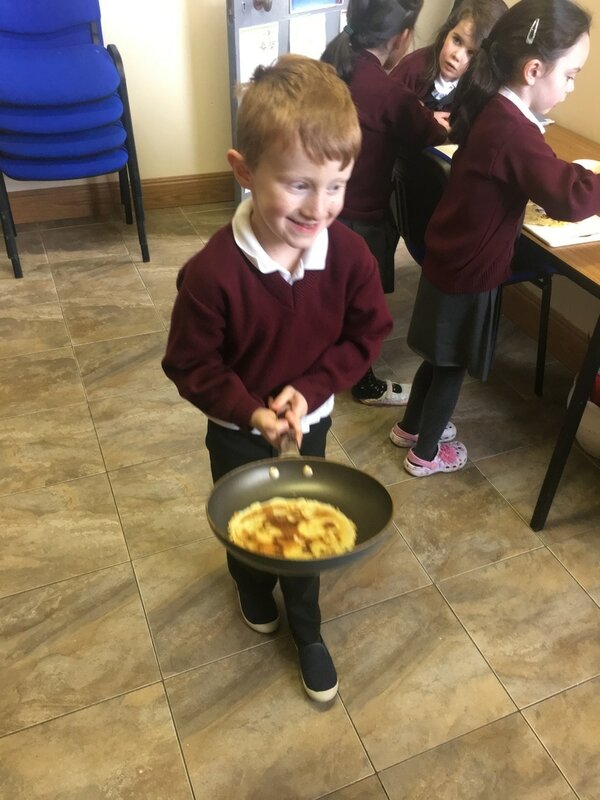 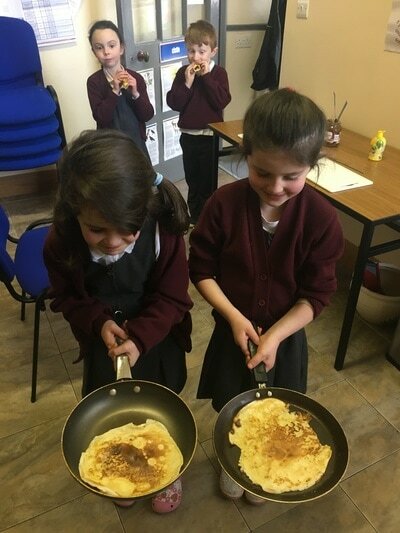 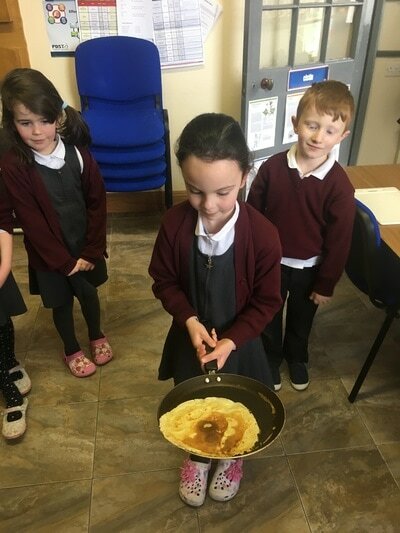 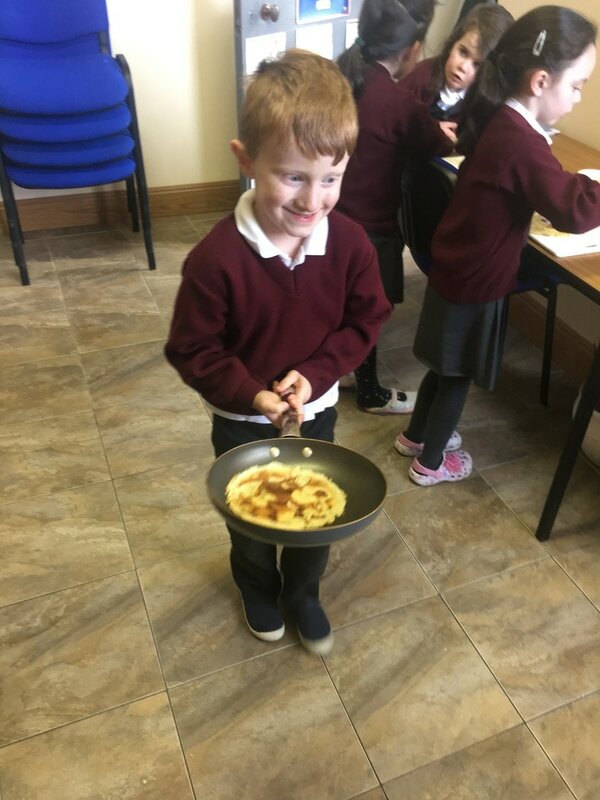 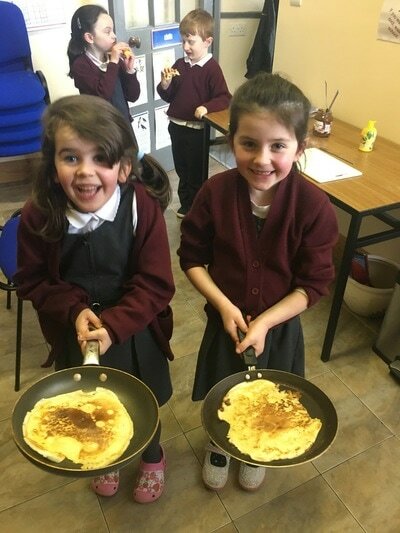 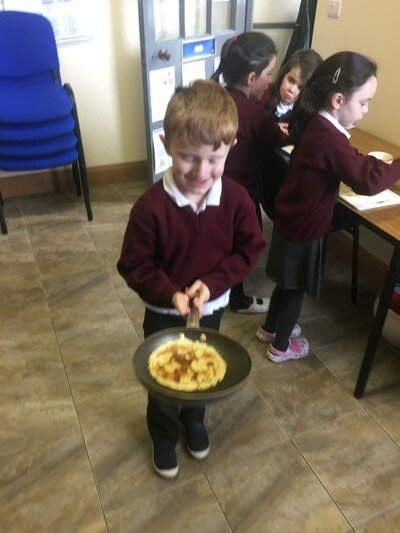 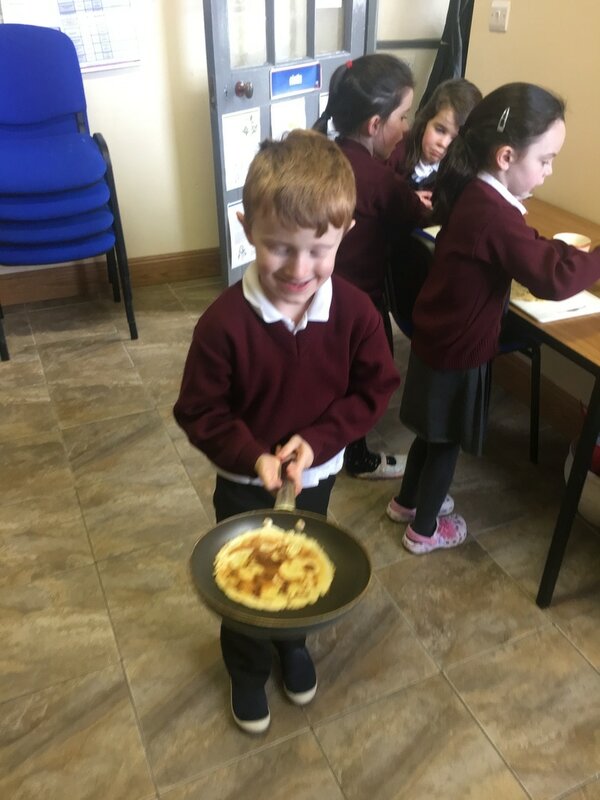 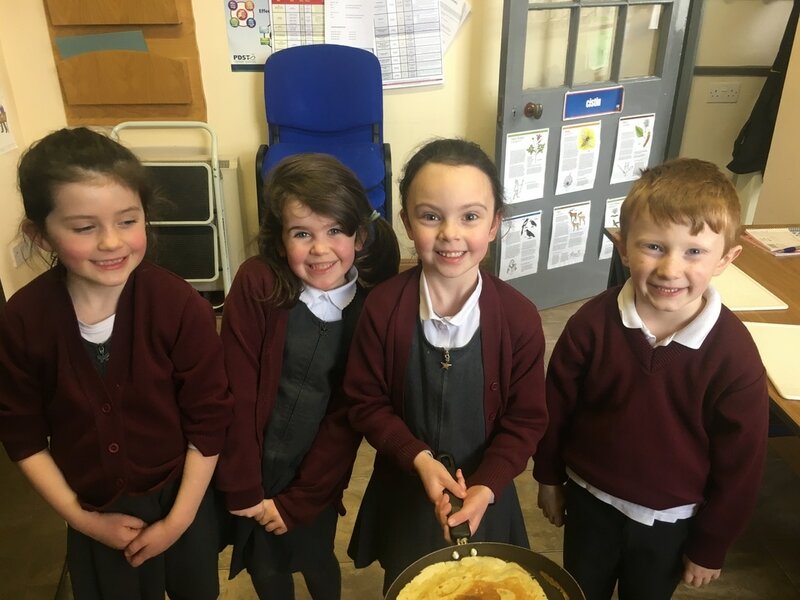 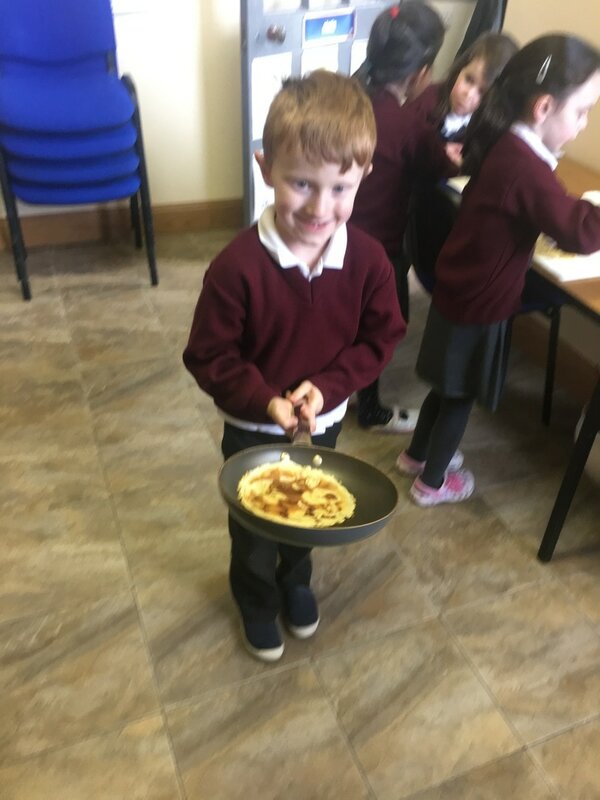 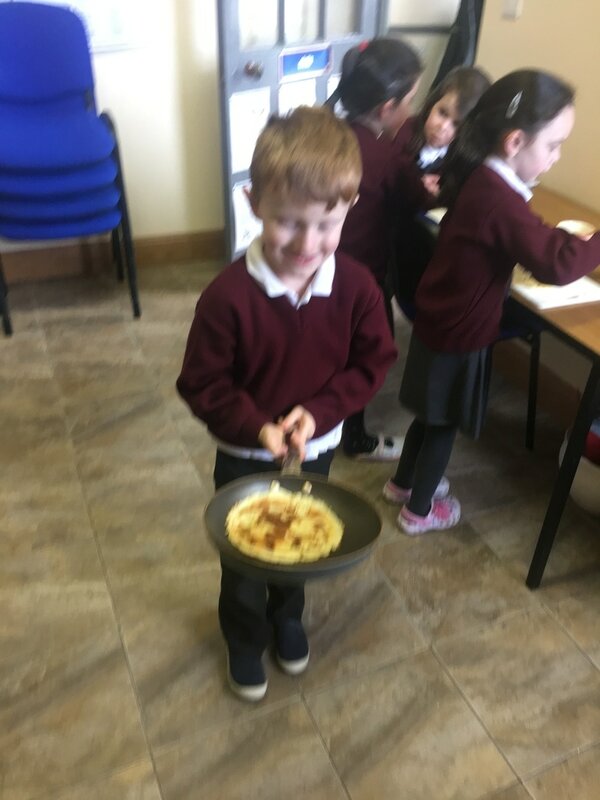 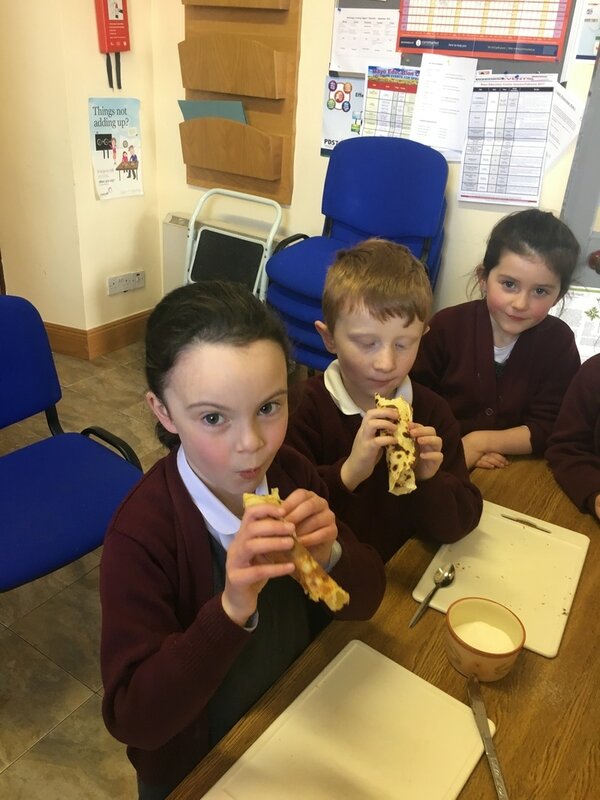 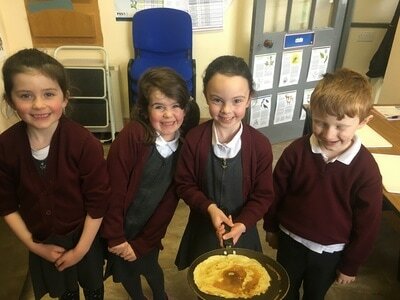 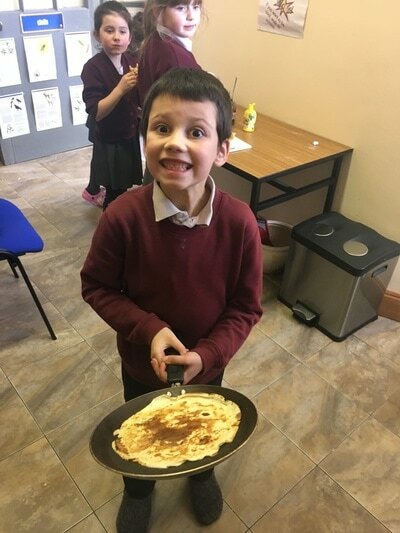 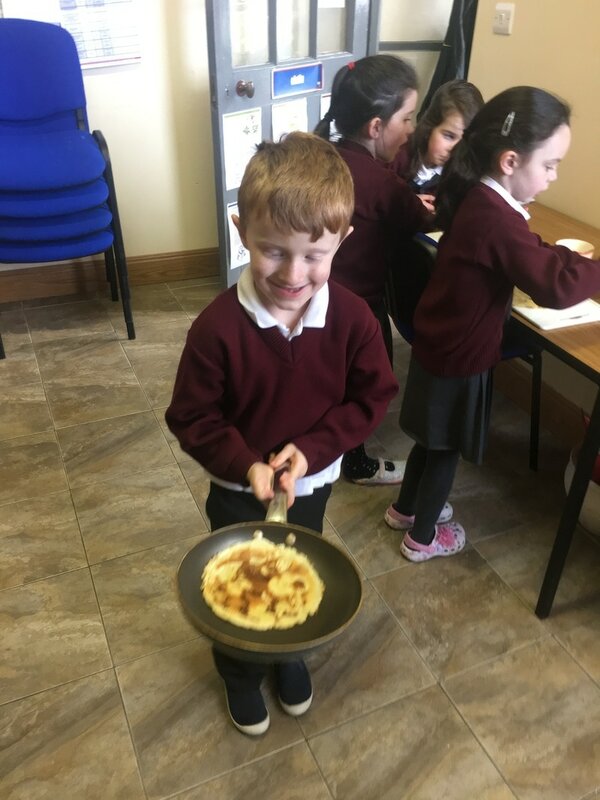 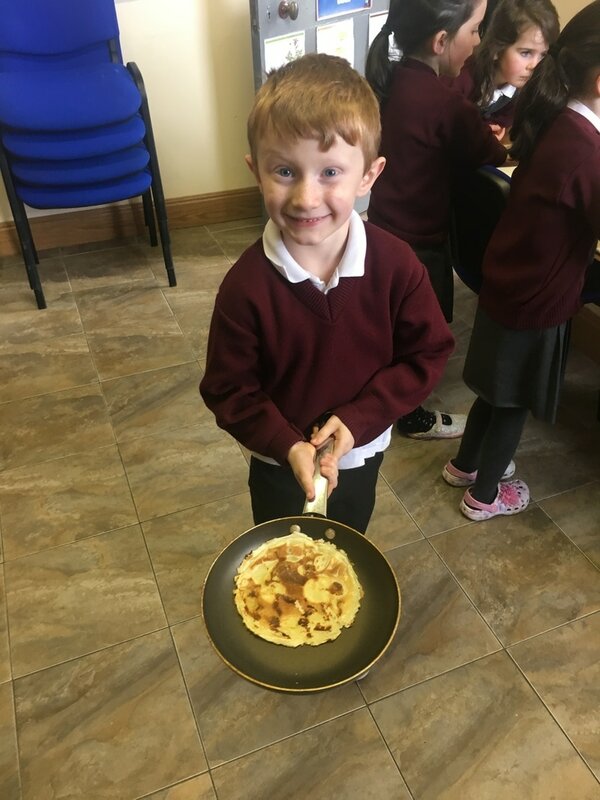 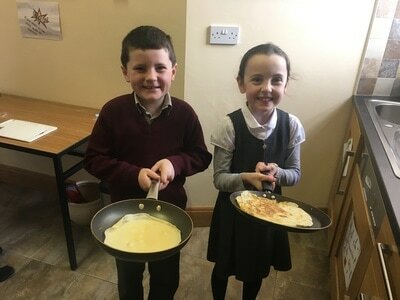 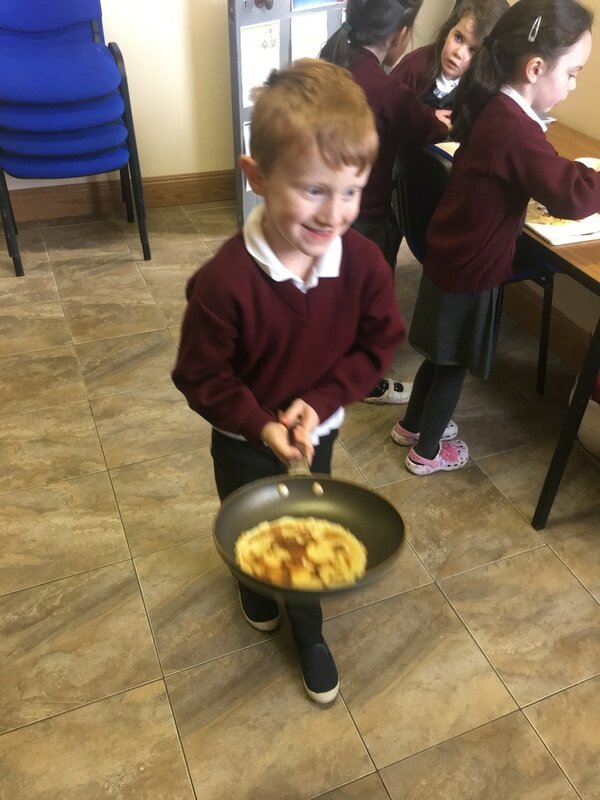 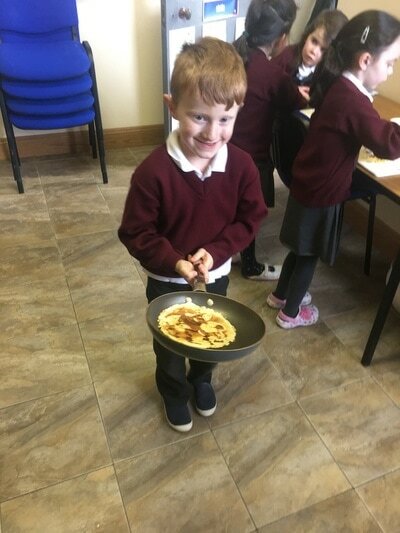 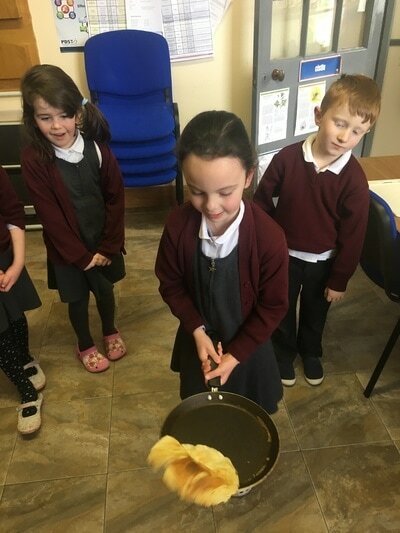 We used flour, eggs and milk to make the batter for our delicious pancakes. 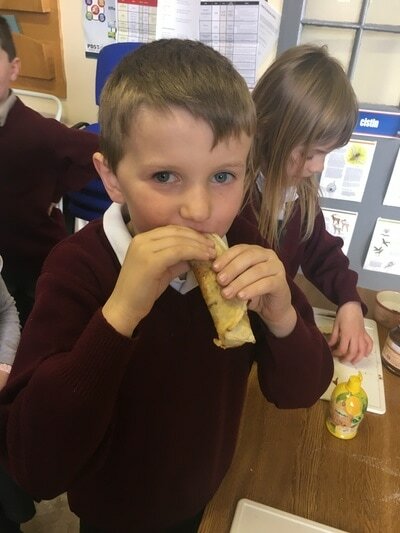 We filled them with delicious toppings like lemon, honey, sugar and nutella. 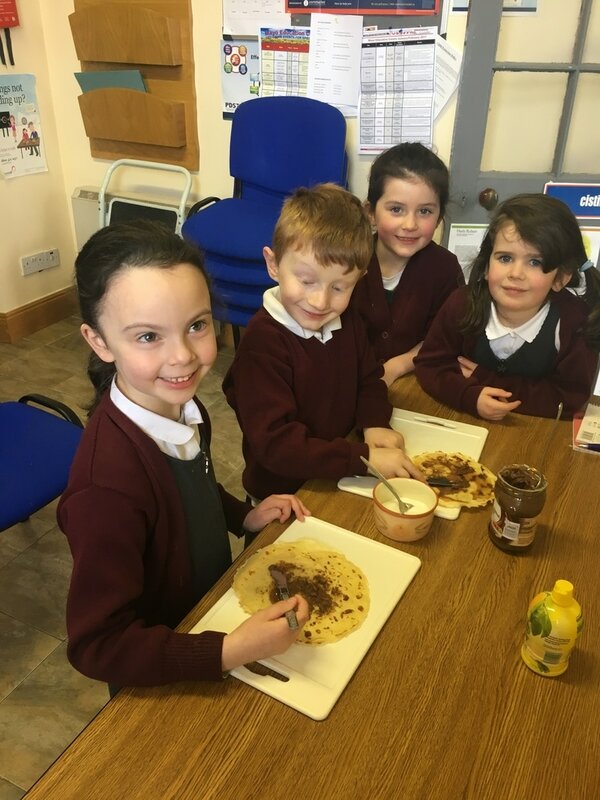 A real treat before Lent starts tomorrow, and a brilliant way to use up these goods from the press before Lent.